In India, it’s either celebration at winning, or cynicism at losing. This is the short description of how India sees sports. Since the interest is related to general pride and not an ingrained sports culture, the interest is fleeting and fizzles out soon. 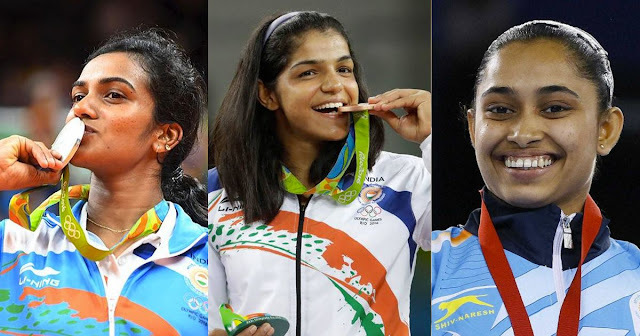 No medal and the entire system is under the scanner, but then you get a few medals, and all is forgiven. There’s no real intent of improving the sports in the country. Though cricket has evolved into an extremely competitive professional sport, at it’s core it’s a team sport, driven by strategy and numbers. However athletics events at Olympics are more inclined towards physical excellence. Pure fitness has never been a focus in India. Since sports is not a natural ingredient of upbringing, parents view sports from the point of ‘Return on Investment’ and it never qualifies as a viable career option. If red-tapism and babudom is a disease in Indian administration, then sports bodies are not free of it. Sports bodies attract so many politicians because it’s a free power and money buffet, all sans accountability. The entire approach of sports administration is not pro-player. The sports person is never the top priority. Since the approach is not human centric, it’s inefficient at cultivating talent. Cricket sells because it’s a good product. Putting guilt on cricket fans to watch other non-cricket sports is not the solution. The solution however is selling non-cricket sports well to fans. Simplest example to understand this is how Ranji cricket still fails at attracting crowds, being just one rung below international cricket, whereas IPL has created a dedicated fan following right from the start. IPL is a more complete entertainment product and it’s thriving. Money does become the bottom line eventually, for the players and the organizers, and there’s nothing wrong with that. You can’t keep a sport alive on government grants. Sports economy needs to be fixed. If money has to be earned, then create a great product, make the human resource (the athlete) the top focus; such attempts have been made with Kabaddi and Football. Athletics can be promoted the same way; success at Olympics will be the natural progression then.